Nuclear fusion, the same process that powers the sun, could provide us with limitless cheap energy—but experiments to date have always used more power than they created. Now, though, researchers have apparently tipped that balance, making fusion a real possibility. 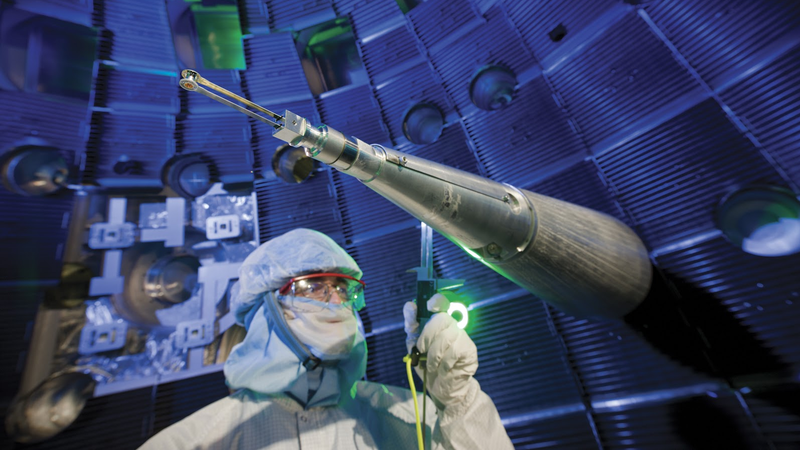 Researchers at the National Ignition Facility in Livermore, California, have been conducting fusion experiments for some time. Using 192 beams from the world's most powerful laser, they heat and compress a small pellet of hydrogen fuel until nuclear fusion reactions take place. Usually, they have to dump more power in using the lasers than they manage to create from the fusion reaction. The BBC is reporting, though, that during an experiment conducted in the facility during September the "amount of energy released through the fusion reaction exceeded the amount of energy being absorbed by the fuel". If it's true, it's the first time any fusion experiment has managed such a feat—and it's a huge milestone in our quest for fusion power. It's not the Holy Grail, though. What researchers really want to achieve is ignition: the point at which the nuclear fusion reaction generates as much energy as the lasers supply. That's not the same as the recent observation, because there are inefficiencies in the fusion system which mean that not all the energy supplied through the laser is delivered to the fuel.